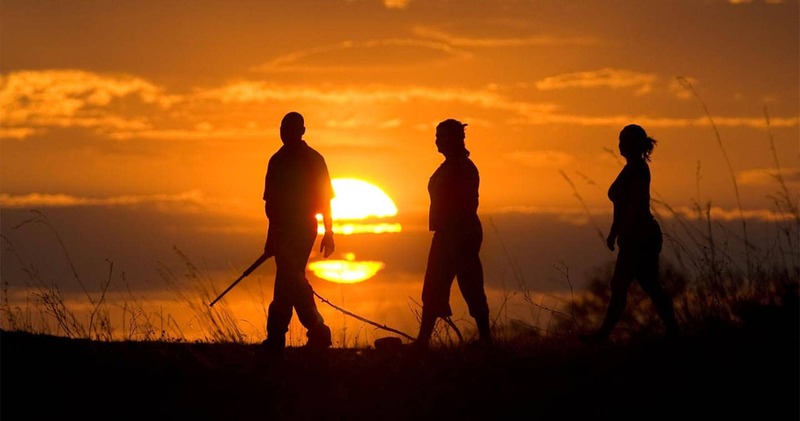 Before you plan your trip to the Moremi Game Reserve, it is highly recommend determining where you want to stay and what is on your bucket list. We would love to provide a simple, ‘this is the best time to visit’, but there is no such thing when it comes to Botswana. 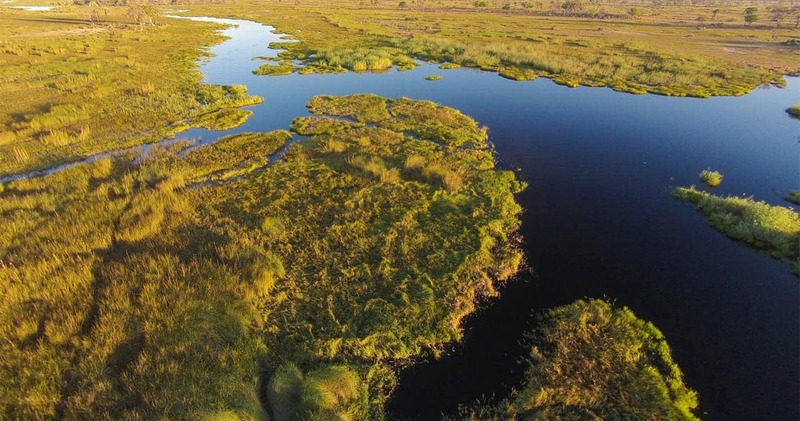 The Moremi Game Reserve and the Okavango Delta change dramatically with the seasons, making it is a year-round destination; feel free to come at any time to experience the wonder. What you will discover soon after arriving in the Moremi Game Reserve, is that it isn’t just about crossing off the Big Five on your list, or finally spotting that rare bird. In Moremi, you have to take in the full package: broad skies, amazing sunsets, constantly changing colours, a warm African breeze (and even warmer African hospitality), lily padded waterways and – of course – some of the best game viewing you will ever experience. This, all together, is what will make you want to come back to Botswana as soon as you start your way home. That said, we could definitely help you determine what is the best time for you to go. Botswana knows both wet and dry seasons. Most travelers pick the dry season for a visit, but the rainy season is definitely worth considering. During the wet season most accommodations have less visitors, so you are in for a very personal experience. Also child policies can be more flexible in this period. 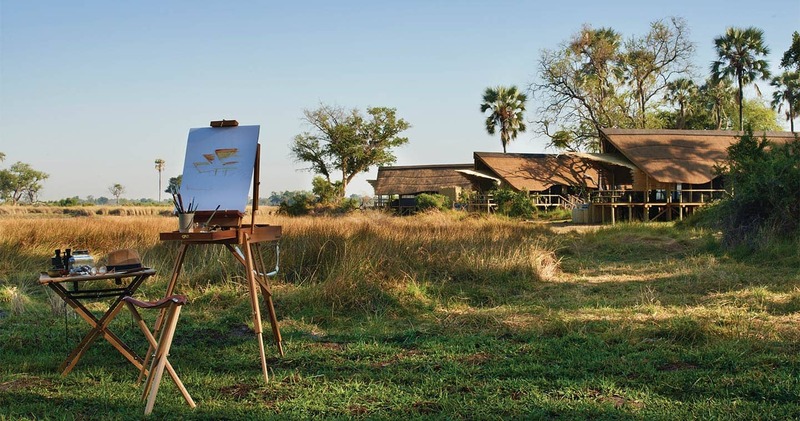 However, the camps and lodges of the Moremi Game Reserve always feel personal since all of them are intimate and small-scale. Here’s a little bit about both seasons. Ideal for a first time Africa trip. Nights in the Moremi are never below freezing and the days are seldom unbearably hot. Note that in November the weather is variable: rain or shine, hot or cold. January and February are the rainiest months. Spectacular skies can change within minutes from cloudy to sunny to cloudy again. Showers are usually short and heavy, but there are days when the sky remains grey. Waterproof clothing is necessary, but the rain doesn’t need to stop you from doing anything. Water levels will affect the activities in Moremi during your trip: some camps only offer mokoro (a traditional canoe) excursions when water levels are high enough, a few months out of the year. On the flip side, some game drives are only possible when water levels are low enough. Please note that in Africa the weather is harder to predict these days. But as long as you look at the Moremi as an amazing experience with all its aspects, you will fully enjoy it. 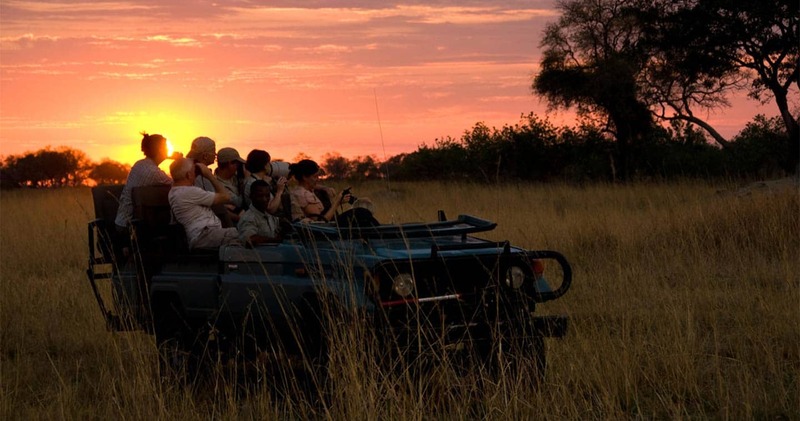 Depending on what you want to see during your safari, you decide what is the best time for you to visit the Moremi Game Reserve. 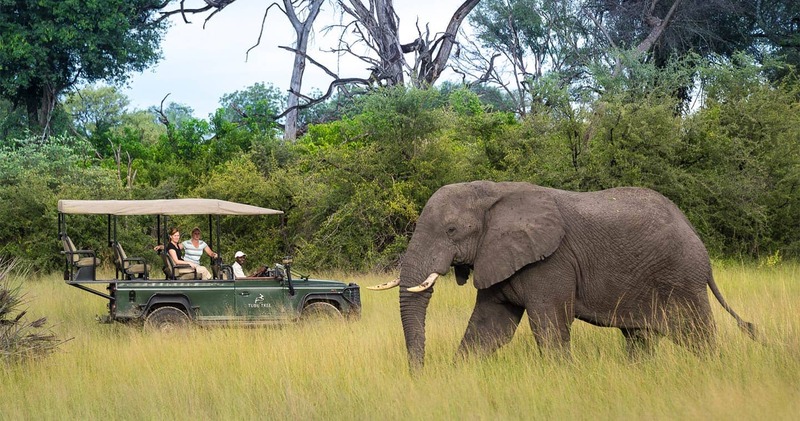 But there is one thing you can count on: game drives are excellent all year round in Moremi. We hope you have found all information needed to decide that Moremi Game Reserve is the perfect place for your next travel adventure. Still have questions? Or maybe you would like some more specific information about the different lodges? Please fill in the contact form and we will get back to you soon!